It’s the Wimbledon of chess. The London Chess Classic is here and the first round began with a lot of excitement. Three out of the five games ended in decisive results. 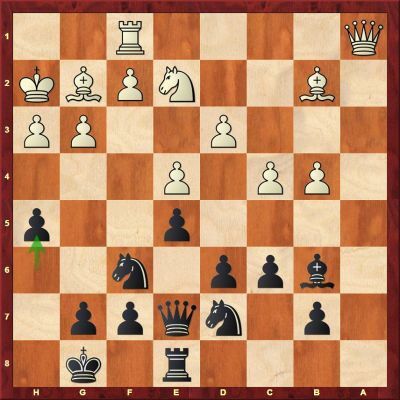 Viswanathan Anand played really well and made a draw with the black pieces against world number two Fabiano Caruana. 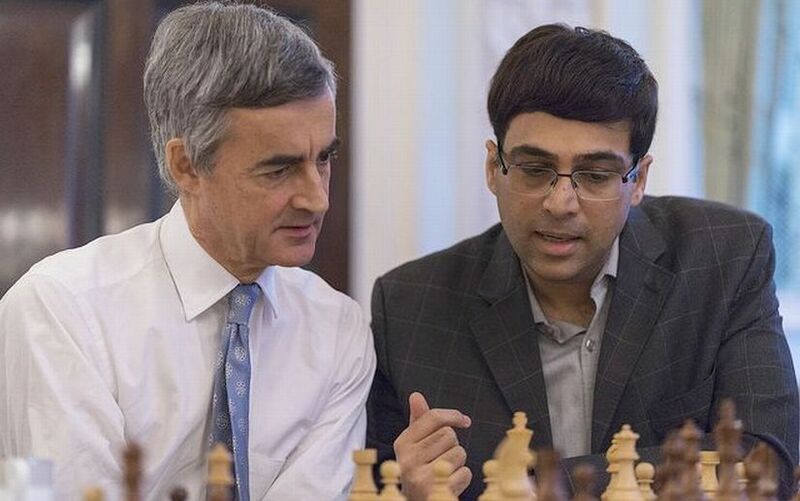 Anand was up against the young and talented 24-year-old Caruana. 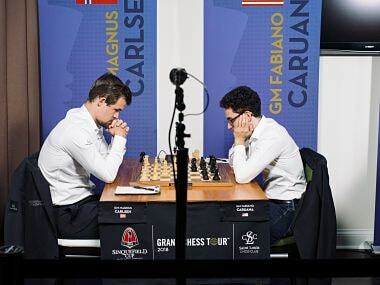 Ever since Caruana scored 7.0/7 at the Sinquefield Cup 2014, he has been seen as the biggest competitor to Magnus Carlsen for the World Champion’s title. Caruana has been a difficult opponent for Anand to face. The last time that the Italian-American lost to Anand in a classical encounter was way back in 2013. Caruana opened the game with 1.c4, the English Opening, as if trying to please the locals. Anand has a golden principle while playing against flank and offbeat openings — stick to the basics, control the center and develop the pieces quickly. He did just that and had a completely acceptable position out of the opening. But soon, he started to go wrong and a very critical moment was reached on the move 22. 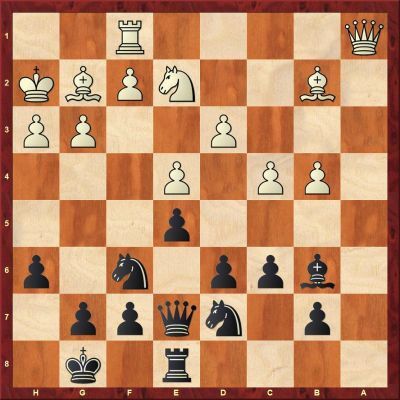 White (Caruana) has more space, the bishop pair and is looking to launch a kingside attack by pushing his f-pawn. In such a tense situation, Anand as always, came up with the goods. Seeing that the white queen was slightly offside he pushed his pawn on the other wing. This little h-pawn push had great power as it looked to soften up White’s kingside. It is precisely for this reason that Anand is called the master of defence. In seemingly sterile positions, he can find resources to spice up the game. After 22…h5 the game was no longer one sided. Caruana tried hard but the Indian grandmaster was up to the task and the game ended in a draw. Draw with the black pieces against a strong opponent is always a good result in chess. 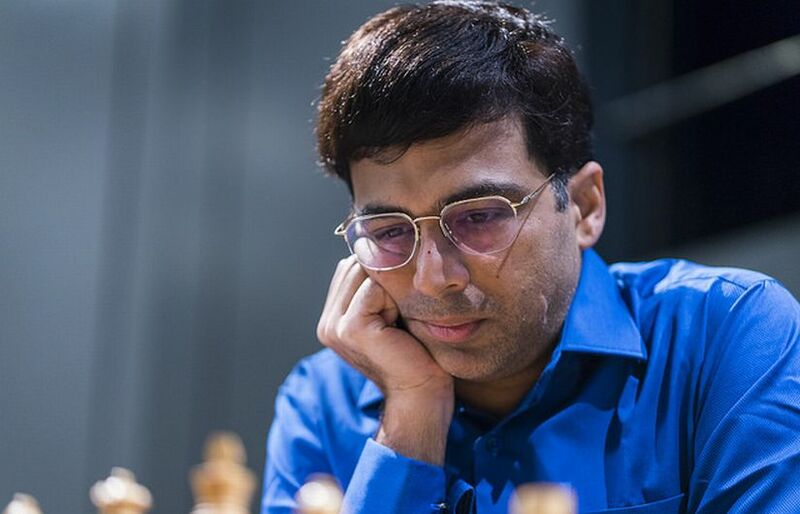 The full analysis of the game between Caruana and Anand has been done by a 10-year-old Candidate Master Aditya Mittal and can be found on the ChessBase India newspage. In the other games of the day, Vladimir Kramnik beat his arch rival Veselin Topalov from the white side of a fianchetto Grunfeld. Since their World Championship match in 2006, Kramnik and Topalov have ceased to shake hands before and after the game. But this has not been an issue for chess fans as every game played between them has been a fiercely-fought duel. On Friday, however, Kramnik was clearly in great form as he dispatched the Bulgarian grandmaster with ease. Birthday boy Hikaru Nakamura had to bite the dust against Wesley So when the former blundered a pawn as early as the 13th move in the game. Such banal mistakes are unheard of at top-level chess. Wesley had beaten Hikaru in the first round of the Sinquefield Cup 2016 and won the tournament. Can he repeat his success at the London Chess Classic? 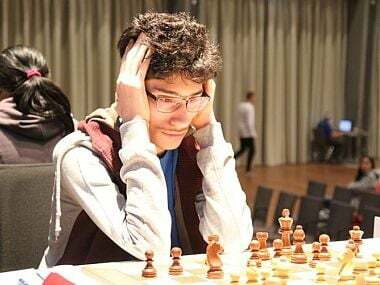 Top English player Michael Adams played a solid game against Levon Aronian and just when it seemed like the battle would fizzle out to a draw, Adams blundered and Aronian gobbled up a rook and the point soon after. A heartbreak for the home crowd. Dutchman Anish Giri recently became a father. 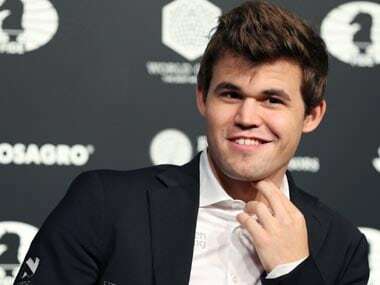 He seems to be taking a lot of risks since then and in the first round at London he played the sharp Najdorf Sicilian, an opening for which his opponent Maxime Vachier-Lagrave is famous in the chess circles. But Giri figured that Vachier-Lagrave would have a hard time fighting against his own favorite weapon. He was right. The Frenchman couldn’t find anything and the game ended in a draw. 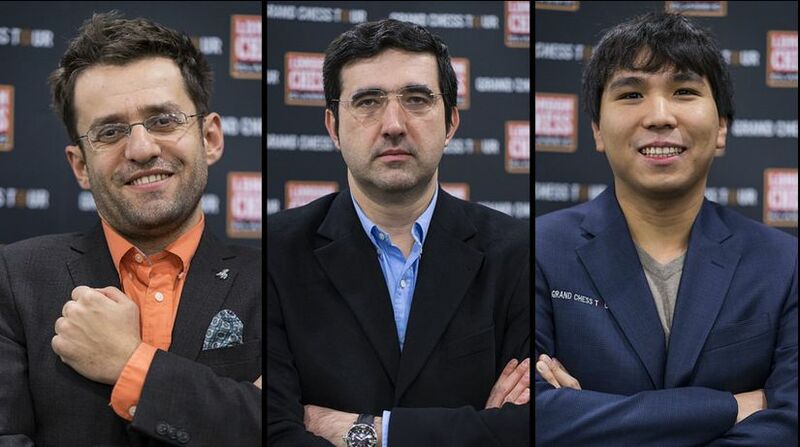 The three leaders Aronian, Kramnik and So with 1.0/1 after the first round. 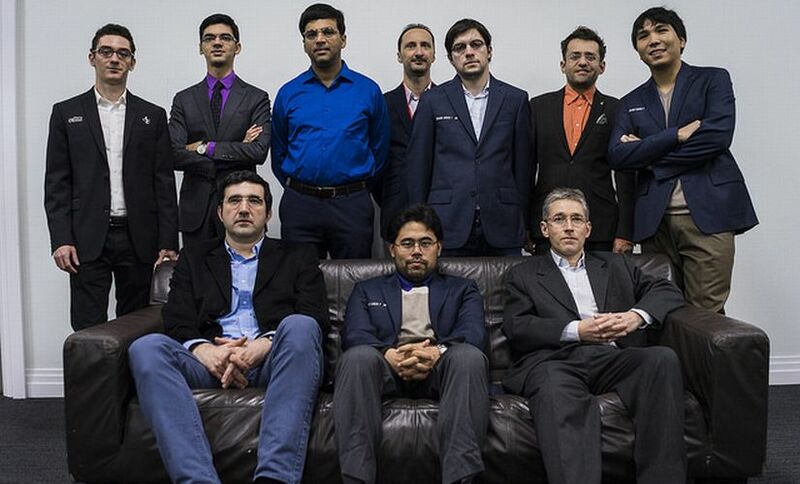 One of the most exciting events at the London Chess Classic is the Pro-biz cup. It brings the best business minds and the world’s leading grandmasters together in a fun knockout tournament to raise money for the UK charity, Chess in Schools and Communities (CSC). The businessmen bid for their favourite players and one who bids the highest gets the chance to team up with the grandmaster of his choice. 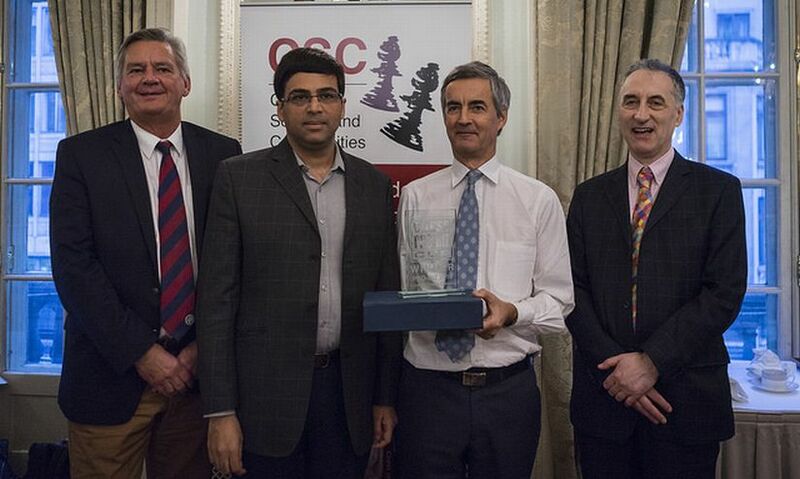 In 2015 the Pro-biz cup took place at the end of the London Chess Classic. 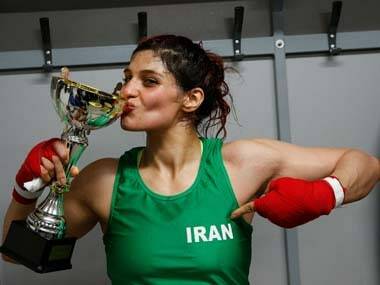 This year, it took place before the tournament began on 8 December. 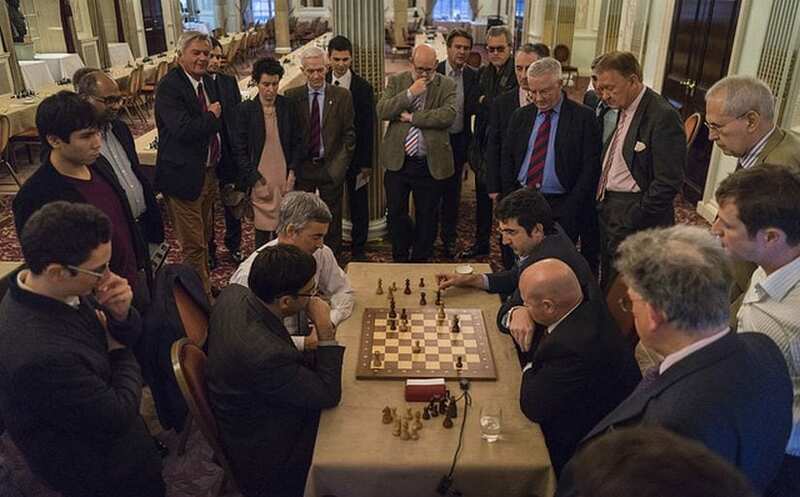 The fourth edition took place at the Royal Automobile Club which has a long standing association with chess. The Chess Circle formed in 1911 has welcomed many of the world's strongest chess players to the Club — Capablanca, Reti and many others have played exhibition matches there. The Club continues to host the world's longest running chess tournament — the annual Varsity Chess Match between Oxford and Cambridge. Round two begins at 19.30 hours IST and can be followed live here. The author of this article, Sagar Shah, is the co-founder of ChessBase India.